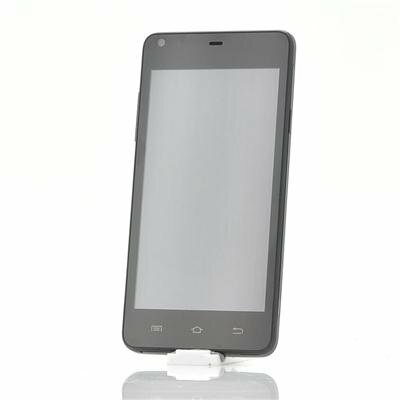 Successfully Added thl T5S Quad Core 3G Android Phone - MTK6582 1.3GHz CPU, 5MP Front Camera + 8MP Rear Camera, 4.7 Inch 960x540 IPS Screen (Black) to your Shopping Cart. thl T5S Quad Core 3G Android Phone is designed for perfection as well as being very practical as it features a MTK6582 1.3GHz CPU, 5MP Front Camera and an 8MP Rear Camera as well as having 4.7 Inch 960x540 IPS Screen. 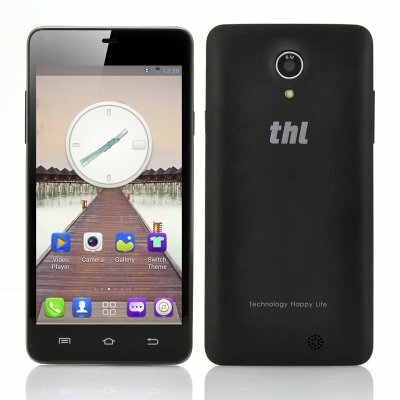 Android phone specialists thl have created a quad core phone with many cool features for an even cooler wholesale price. Arriving with Android 4.2 as its operating system, the thl T5S offers users an extremely user-friendly experience than cannot be matched by any of its rivals. It also has some incredible advanced features that permit a complete customization of appearance. This Android smartphone will fit neatly in your hand and can be easily slipped into your back pocket as it has a 4.7 inch capacitive IPS touch screen, which furthermore allows you to easily navigate and control the phone. Plus it has quality resolution so that all your media content will look fabulous from any angle. Not only does the thl T5S have an impressive 8 megapixel rear camera for capturing the photos as well as recording videos - it has a 5 megapixel front-facing camera, which is rare for any phone this price category. With a 5megapixel front-facing camera, all your friends, family and clients can see you in a much higher quality when engaging in online conversations. To power this Android phone, thl included a combination of a MTK6582 quad core 1.3GHz processor and 1GB of RAM, which together deliver a performance that is hard to match, especially when you consider the wholesale price that the T5S quad core phone is being offered at. Running games, streaming videos or surfing the internet will be done smoothly with little to no lag as the processor can handle the strain. In stock now, we guarantee that this thl T5S Phone can be dispatched within one working day with a 12 months warranty. Brought to you by the leader in electronic devices and wholesale Android Phones, Chinavasion. The product is very good its excellent graphics and beautiful design. Thanking service. Awesome Phone , very good battery life for light users. Good screen and no lagging. Doesn't come with a case or a extra battery. The T5S is a great phone easy to set up WI FI ,Accounts and has full access to the play store.It is very slim and the display is bright and clear the camera is very good and perfect for bar/scan applications ie.amazon books .